Hi everyone! Today I have a birthday card that I made for my son's girlfriend. I really hope she likes it! I sat staring at it for the longest time, moving the flowers around, trying to find the best way to arrange everything. 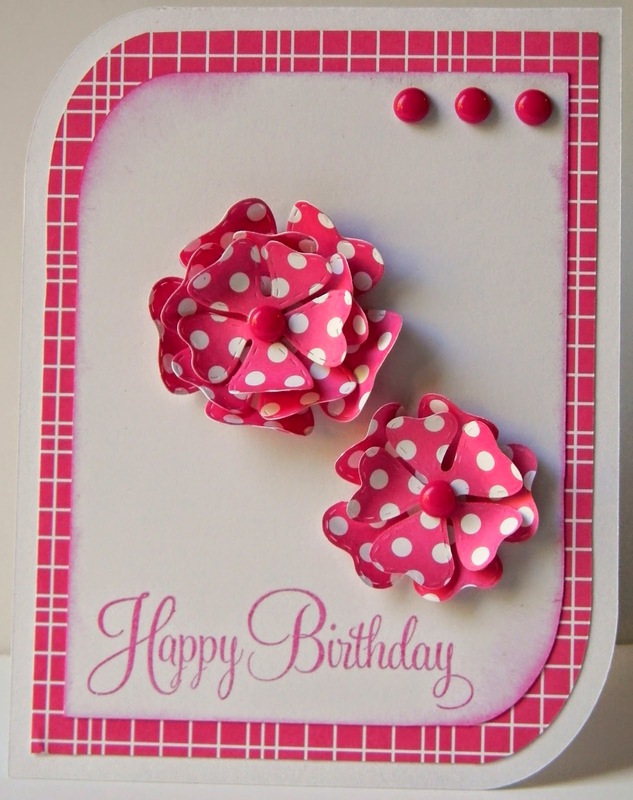 The flowers and stamp are both from My Creative Time, the wavy card base is from SVG Cutting Files, and the pink dots are homemade enamel dots (from Perler Beads). I did ink the edges of the white layer and pop dot the the layers of the flowers.